All meetings occur from 7:30-8:30 a.m. in the UT Outreach Center unless otherwise noted. Join us Monday, January 14, 4:30-6:00 p.m. in the UT Outreach Center. This event is perfect for early career professionals in the Knoxville-Oak Ridge region. With the goal of fostering an environment of mentoring and relationship building, all ETEC members and guests are invited and are encouraged to invite the emerging leaders in your network. Sponsored by: North Wind Group. Three women captured the Muddy Boot Award and Postma Young Professional Medals at the ETEC annual awards luncheon: Ashley Hartman Saunders, UCOR; Naomi Asher, United Way of Anderson County; and, Sherry Browder, UCOR. On the heels of very strong growth in 2018, experts project that Tennessee and the US will see sustained economic growth in 2019 with the potential that growth could slow as the economy confronts tightening labor markets. The University of Tennessee Research Foundation presents: Discover 2018, a report which celebrates their inventors and UTRF’s impact on innovation, new venture formation, and corporate engagement for the University of Tennessee. This New Year Can't We Do the Right Thing with O Nuclear Waste? The Nation’s largest volume of nuclear waste sits in 177 million-gallon-or-so tanks up at the Hanford Site in Washington State. UT Knoxville and ORNL have selected Suresh Babu as the next director of their jointly operated Bredesen Center for Interdisciplinary Research and Graduate Education. 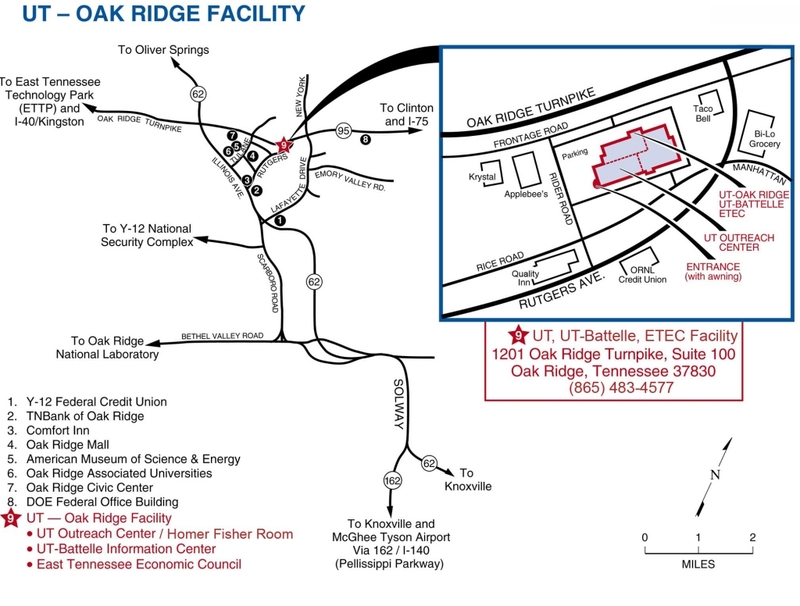 DOE announced recently the selection of Laura Wilkerson as the deputy manager of the Oak Ridge Office of Environmental Management (OREM). Ready to Join . . .
• To learn more about ETEC and the Friday morning meetings, visit the website. • To join the Council, please submit a membership application. Already a Member . . .
• To inquire about the status of your membership, email tracy@eteconline.org. • To pay dues by credit card, please click here to pay online. • To update your company profile, please submit a member information update form.